Music positively affects cognitive function, mood, and relationships among dementia patients. The researchers found that patients who take part in a music program experience positive effects in these aspects of life. 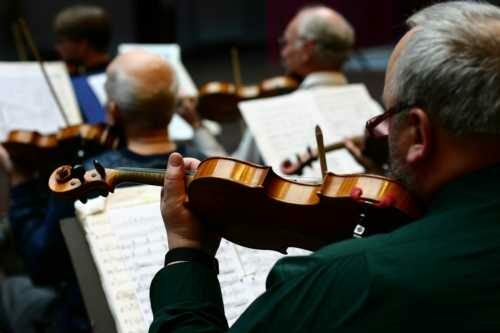 The researchers spent nine months studying a music program known as B Sharp, which is geared towards those with dementia and Alzheimer’s disease. The researchers found that the majority of participants experienced unexpected reversal of cognitive decline during the program. Other benefits of the B Sharp program included improvement in alertness, engagement, mood, sense of community, feelings of acceptance, and improvement in the patients’ interaction with their caregivers and loved ones. Positive effects were seen days prior to each performance as the patients were anticipating the next show. Even those patients with severe forms of dementia still demonstrated excitement and improved mood as they remembered the last performance. Some participants explained that the performances prompted them to want to explore music at home and engage in related activities.